How to Hang a Hammock Indoors. Step By Step Instructions. Few things in life are as good as lazing in a hammock, it’s cosy and comfortable. Here’s everything you need to hang your hammock safely indoors. 1.1 Sleep like a baby! 2.3 Make the wood attractive on your eye! There are a few things in life that bring more pleasure than lying in a hammock. It is comfortable and can be used anywhere, regardless of the terrain. Hanging up a hammock is not always easy. Many people are curious about how to do it the right way and while the situations are sometimes different; the questions are always the same. How far apart should the attachments be? Will my feet be too high or too low? How high do they need to be to ensure they don’t touch the ground? While hanging a hammock tent outdoors is easy, doing the same indoors is a whole other matter. This article e​xplains some of the things to think about and some of the potential benefits to you when you want to take this normally outdoor experience indoors! Ever thought about sleeping in a hammock every day? Swapping your bed for one? Some people swear by this and the popularity of the practice has increased tremendously over the last few years. You may wonder if the idea of hanging a hammock indoors or sleeping in one each night is the best way to go. The truth is there is little to no scientific literature on this subject (that i Could find anyway)! Nevertheless, we can clear up a lot here so bear with me. Let’s look at the reasons why many orthopedists, doctors, outdoor enthusiasts and more hail sleeping in a hammock. 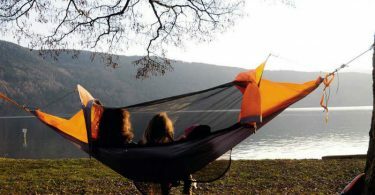 According to an article published in Current Biology in June 2011, the swinging motion of hammocks provides a faster route to sleep as well as the benefit of deep sleep during the night. The article discusses why the best method of lulling babies is rocking them to sleep. 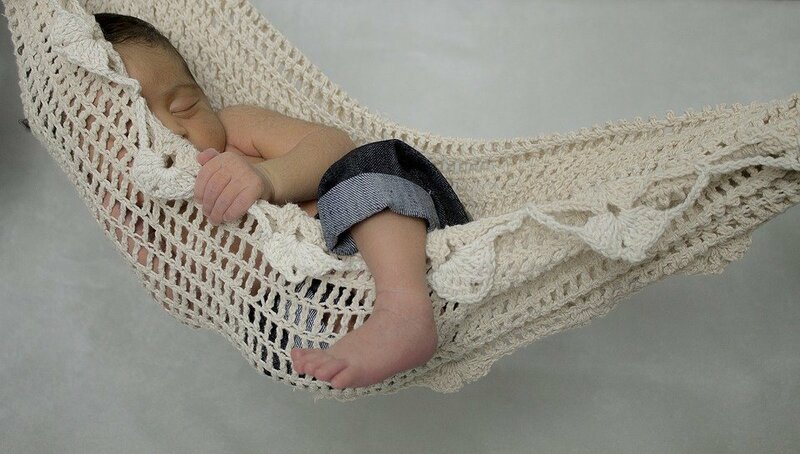 Therefore simulating this gentle rocking motion, like that of a hammock is said to boost and fortify the brain wave oscillations that are associated with better sleep, allowing one to sleep soundly throughout the night. And while deeper sleep doesn’t necessarily translate to healthier sleep, it allows for better recovery. 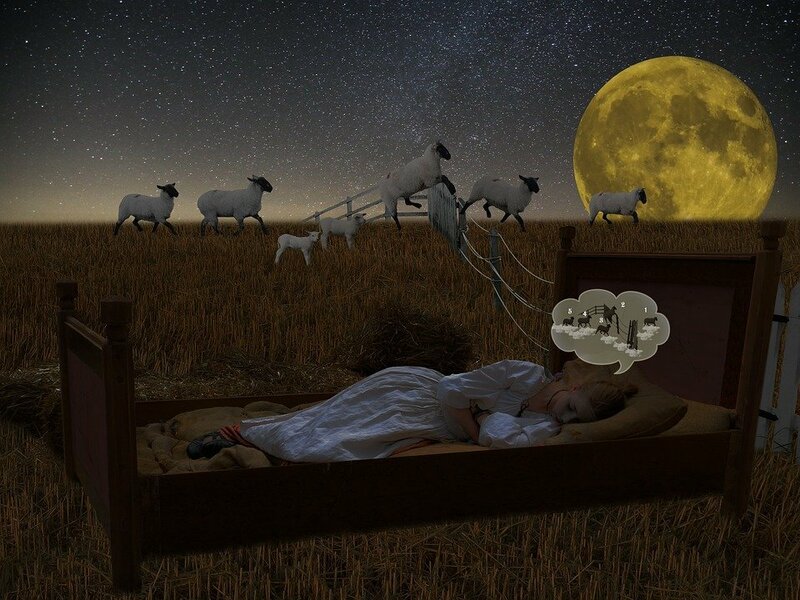 All the stages of the sleep cycle are important, especially the deep and REM sleep stages as that’s when the body repairs itself. The immune system is fortified; muscles and tissues are repaired while energy is restored. This probably explains the claims that hammocks can help your body organs rebalance- or at least make you feel a lot more rejuvenated after whiling the day (or night) in one. Because the swinging sensation created by hammocks works on the brainwaves, it is thought that they can help with those that have problems with sleeping. Do you turn to the latest pharmaceutical technology or use Smartphone applications that promise to maximize deep sleep and REM based on timers? Perhaps all that you need to do help your problems sleeping is to hang a hammock indoors and take it for a test. 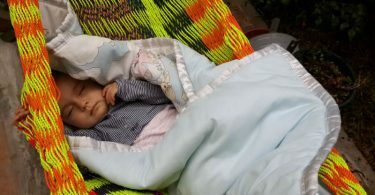 Sleeping on a mattress doesn’t always give the feeling of being in a womb that lulls babies to sleep but a hammock does. And hey, you don’t have to completely get rid of your bed. You can simply have it in your bedroom or somewhere in the house for those occasions when sleep evades you. 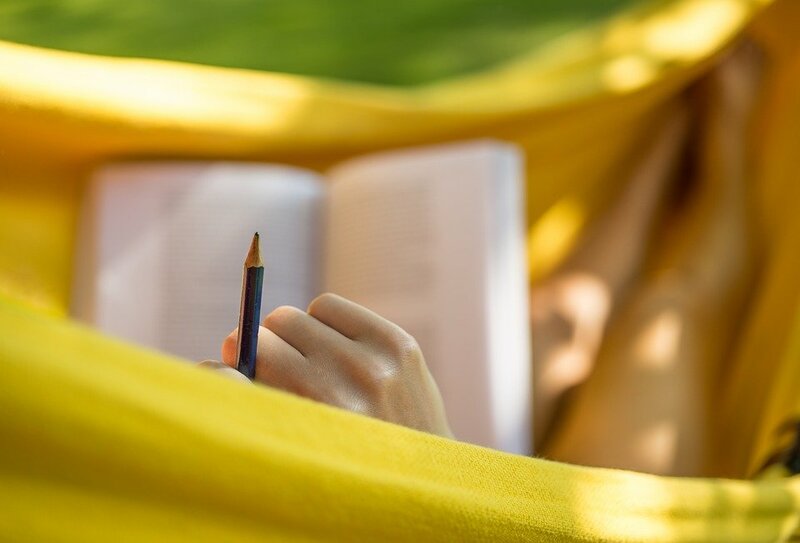 Believe it or not, lying in a hammock can increase your concentration which in turn improves reading and learning. According to Michel Muhlethaler, a professor of neuroscience at the University of Geneva (Switzerland), the brainwaves affected by rocking motions are also associated with increased memory of recent events. 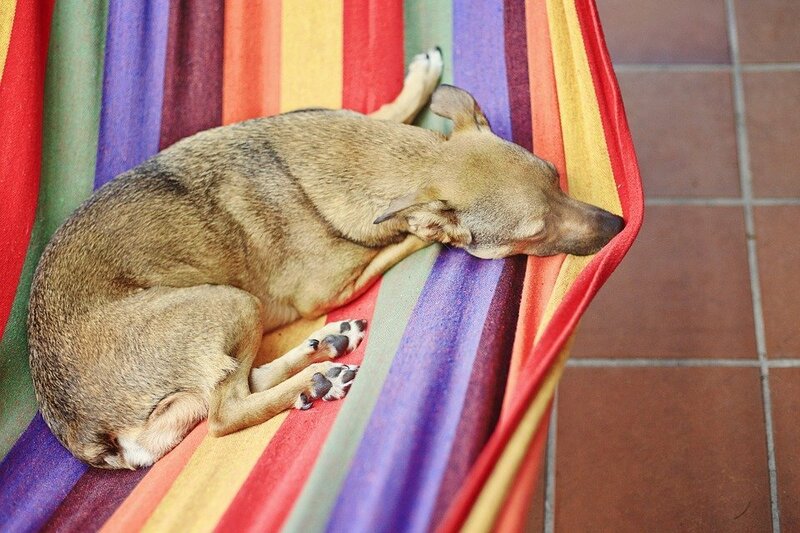 It is, therefore, safe to say that sleeping in hammocks is beneficial for cognitive processes. In any case, increased concentration makes reading more pleasant. Saw for cutting the wood and a screw driver for drilling pilot holes for the lag hooks as well as something to drive the screws into the wall. The first task is cutting 2x4 lumbers down to size and drilling the pilot holes. 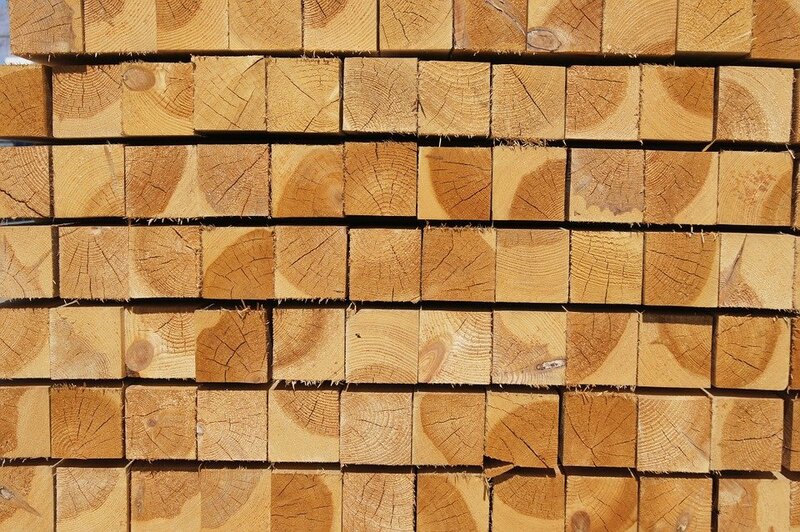 The ideal size for the timber should be 20 inches long. You will also need to drill holes for the lag hooks. While measuring them to ensure that the holes are perfectly centered is recommended, there is nothing wrong with simply eyeballing them. You want to make sure that the holes aren’t too big otherwise the threads may grab. 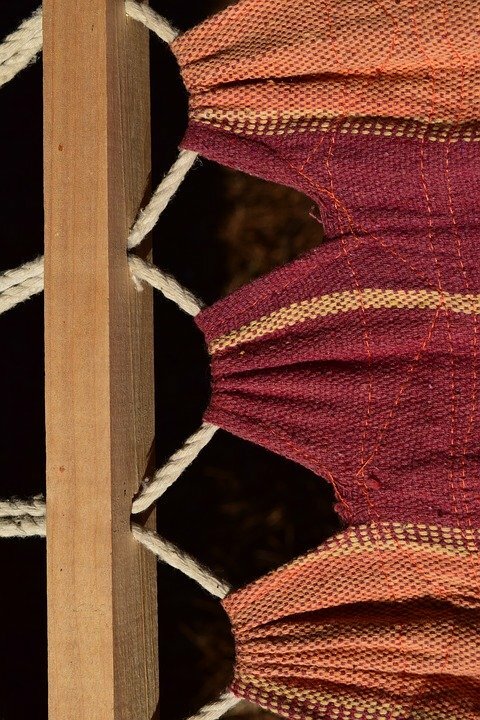 Drilling the holes at a slight angle makes them co-linear with the force exerted by your hammock, while allowing more of the threads to be in contact with the wood. Make the wood attractive on your eye! Assuming that you are the kind of person who doesn’t want to screw boring 2x4 lumbers into the walls, your next mission is to get creative and make the wooden posts look pretty. I opted for a bright yellow wood stain and some funky leaf motifs! The only limitation here is your creativity. 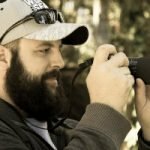 You can do whatever you want on the timber – a picture of you camping, pictures of your dog, local flora, cool scrap-booking paper or even a paisley bandana. There is nothing wrong with going nuts – it’s your thing. Whether you wheat pasted, lacquered, stained or painted, you should allow time for it to dry. The last thing you want is for your hard work to go to waste when everything sticks on your clothes, tools or walls because you aren’t patient. Go get a snack, rest in the hammock or even take a walk. It doesn’t really matter what you do in the meantime. Patience is everything at this point. There is more figuring out to be done before installing the lag hangers! For instance, how far apart o you want the hooks to be? How high above the ground should your hammock be? These are the two main factors that will come into play when deciding where the hangers will be placed. While you shouldn’t stick them on the opposite sides of the room, you want to ensure that they aren’t too close together or too far apart. This will prevent the hammock from hanging too high that you can’t get in and out comfortably. Hanging your hammock tent with the right amount of sag is the one factor that makes all the difference between discomfort and comfort. Once you have figured out everything and know the perfect spot for the hangers, you can go ahead and screw the lag hooks into the posts. Take care to prevent them from sticking all the way through the wood. Large pliers may prove helpful here. Screw in the hangers once everything looks good. Six or seven screws per hanger positioned up high such that they go into the top plate should suffice. You can also screw them into the studs if you prefer. Now that you have made it this far, it’s time to sit back and enjoy your handywork. But before doing that, you should test your weight to make sure that nothing breaks. You should also consider hanging it not too far from the ground so that in the event that something breaks, there is no risk of falling too far. Once you are sure everything is perfect, you can go ahead and climb on in. While the above procedure is quick and probably a dirty one, it’s important to note that there are several ways of hanging a hammock indoors. Doing this provides a great way to relax after a long day at work. Who doesn’t like to read or doze a little before dinner? 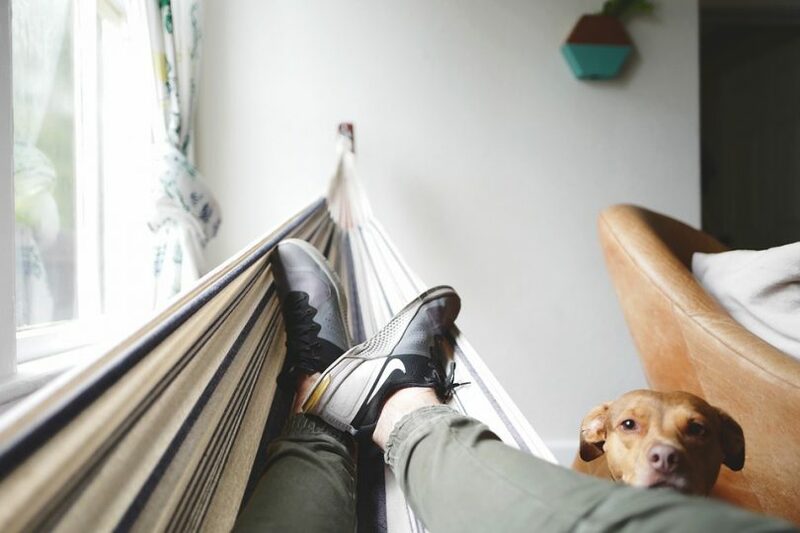 In addition to the benefits discusses, there are other benefits of hanging a hammock in your home. It may provide a simple solution for a sore back. The only downside is that it doesn’t have much space for a couple to snuggle.